Last September, my world turned upside down. Following a routine visit to the vet for his annual boosters, I got the results of a fine needle aspirate test, for what we all thought was a cyst on Brinkley’s chest. He wasn’t bothered by it at all, I don’t think he could even feel it. To hear that he had a mast cell tumour was a shock, and I spent most of the weekend in tears and giving my boy even more cuddles that he normally gets – I think he thought I had lost the plot! 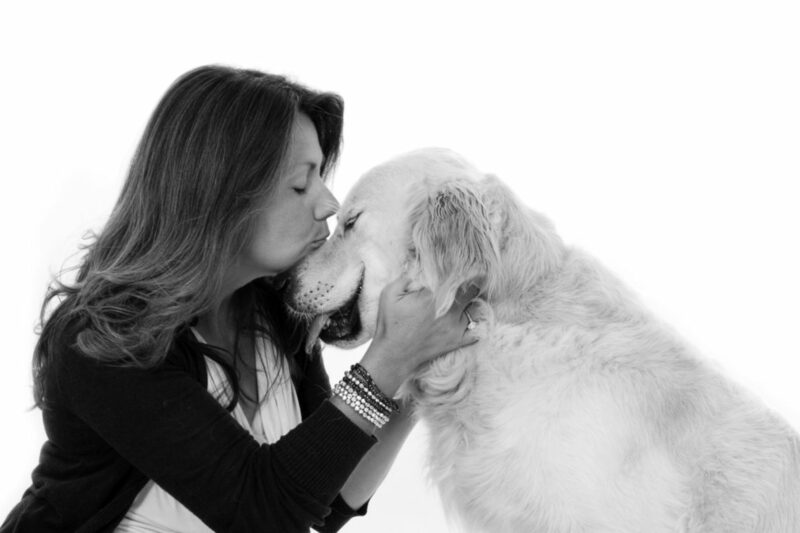 I called my vet first thing on Monday morning and asked for Brinkley to be referred to Fitzpatrick Referrals. 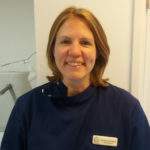 Their oncology and soft tissue hospital had only opened a couple of weeks before and I knew that their imaging technology was the best in Europe (if not the world), and I wanted to know what we were dealing with – were there other tumours that we couldn’t see or feel? A couple of days later, we had our first appointment and our journey began. We had a lovely greeting from Claire on reception and Brinkley did his usual excited to see you, spinning around and singing thing. 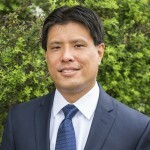 We met with Dr Kelvin Kow, Senior Consultant in Medical Oncology, who told me that mast cell tumours are very common, and surgically removing them was the best treatment. Brinkley had an ultrasound scan and other tests including checking his lymph nodes, his liver and his spleen. The bad news was that we had to deal with three mast cell tumours, rather than just the one. After a very tense day of surgery, I got the call from Senior Surgeon, Dr Laurent Findji, to say that it had gone well. I picked Brinkley up a couple of days later and was given some pain relief and told to keep him quiet for two weeks when the stitches were scheduled to be removed. 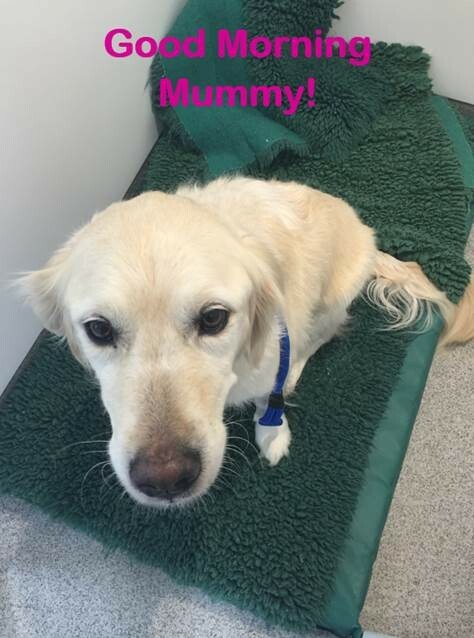 One Sunday evening, I rushed Brinkley back to Fitzpatrick Referrals when suddenly his leg wound started discharging fluid. I found out this was actually common with major surgery, especially in such a high impact area. It did mean however that because the wound was not healing properly, there was a greater risk of infection. I had the option of the wound being dressed and taking him back first thing in the morning to Surgical Resident Pádraig Egan, or leave him overnight in a sterile environment. As much as I hated leaving him, I chose the latter option to reduce the risk of infection. 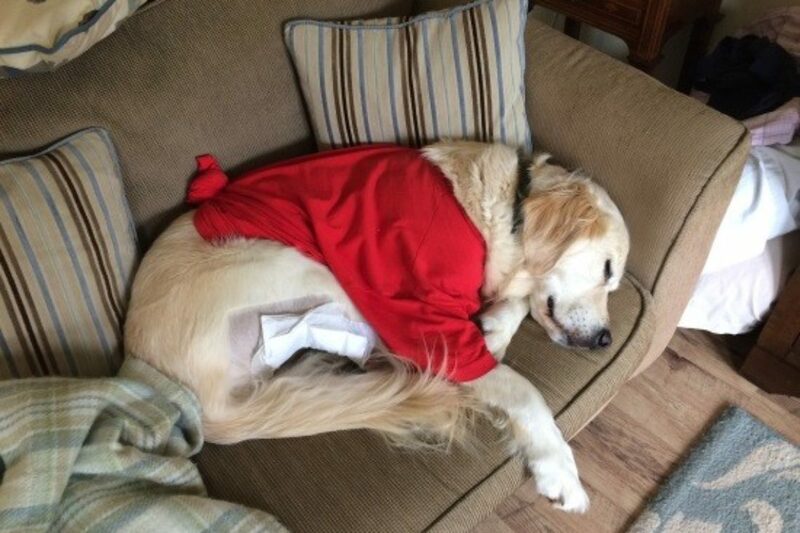 Pádraig called me first thing on Monday and explained that this was a seroma, partly as a result of one of the lymph nodes behind Brinkley’s knee being removed due to its proximity with the mast cell tumour and that he would need compression bandages being re-dressed every few hours. Brinkley was sent home three days later with a big pile of large dressings to keep the wound as clean as possible. 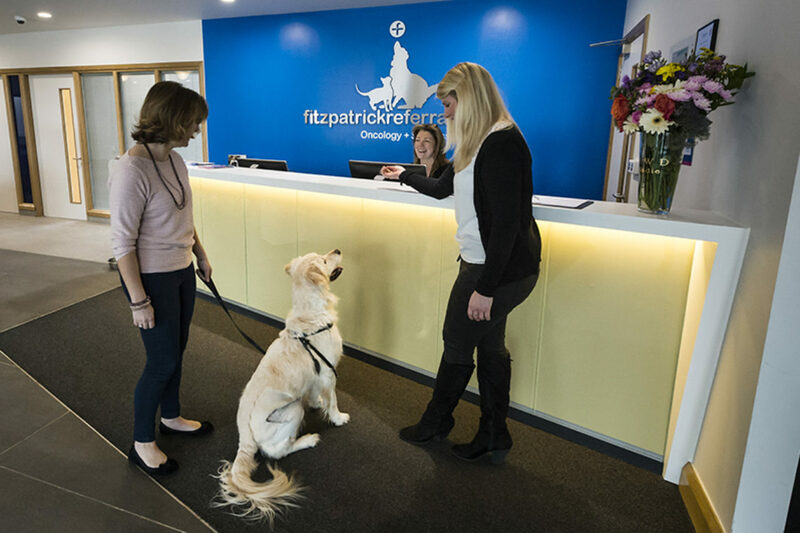 We hit the two-week milestone post-surgery and I took him back to Fitzpatrick Referrals to review next steps. While the wounds on his chest and back were healing very well, the one on his leg was still open and the seroma fluid was still flowing, stopping the wound from healing properly. Pádraig put four staples into the wound. By the end of the week, the wound had healed. The staples had done the trick. Three weeks after surgery, I took Brinkley back to have his stitches and staples removed. Kelvin explained the pathology results. While the incisions were much larger than the visible tumours, Laurent had got good margins meaning that the tissue left was clean and free of cancer; and the tumours were low grade which was good news. There were some suspect cells from the lymph node that was removed, so Kelvin recommended that we do a course of chemotherapy as well. A check-up and ultrasound was scheduled for the end of February, but paranoid Mummy kicked in when I found a tiny lump on his front leg. Kelvin told me to bring him in straight away to test it with a fine needle aspirate. He gave me the devastating news that it was, in fact, another mast cell tumour. Kelvin was wonderfully comforting and told me not to worry, and that this surgery would not be as invasive as the last lot and that we wouldn’t have to go through chemotherapy again. 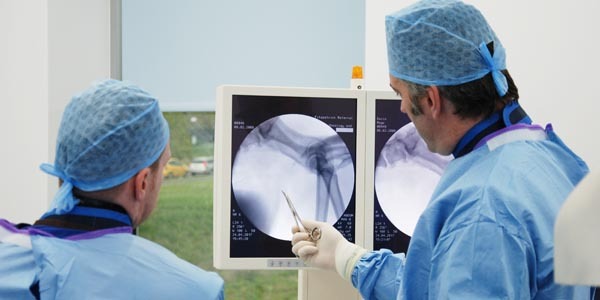 The ultrasound was brought forward a couple of weeks to the following day, and surgery was scheduled a week later. I was so proud of my boy, who managed to stay still enough to have his tummy shaved and have his ultrasound without sedation. Especially as he’s usually a bouncy tiger when he sees any of his friends. Surgery day came a week later and I got the call to say that it had gone well. The lovely Olivia, of the reception team, went to visit Brinks for frequent cuddles and sent me photos and messages from Brinkley, to tell me he was being good! It was so lovely to get these updates and I was so grateful for them, as I was suffering from separation anxiety! I picked him up the next day and we were both beside ourselves with excitement to see each other! The two-week milestone arrived and Kelvin removed the stitches. It has been a real pleasure getting to know Annie and Brinkley these past few months. We always look forward to Brinkley’s appointments as he is always so happy, exuberant and well mannered. Mast cell tumours are typically straightforward to treat, however, patients with metastatic and/or multiple mast cell tumours can be a challenge, with each patient requiring customised treatment protocols. We are all pulling for Annie and Brinkley and wish them both the best. So, what happens next? Just after I got my boy back after a tough autumn and winter, I found another lump. Kelvin tested it and had the unenviable task of telling me that it was another mast cell tumour. Given that we did not discover more lumps while Brinkley was going through chemo, we have decided to remove this latest tumour and then get him on to oral chemotherapy. It is now a week since surgery and he’s doing as well as we could have hoped! If there are any lessons I have learnt and can share with vets and owners alike, are that these tumours are SO deceptive. A fine-needle aspirate is key to determining whether there is a problem or not. Words cannot express my gratitude or thanks enough, for the way both Brinkley and I have been looked after. Not only has Brinkley had world-class medical care, we have both been shown so much love and kindness from absolutely everyone and I really do feel like Brinkley and I have become part of the Fitz Family. 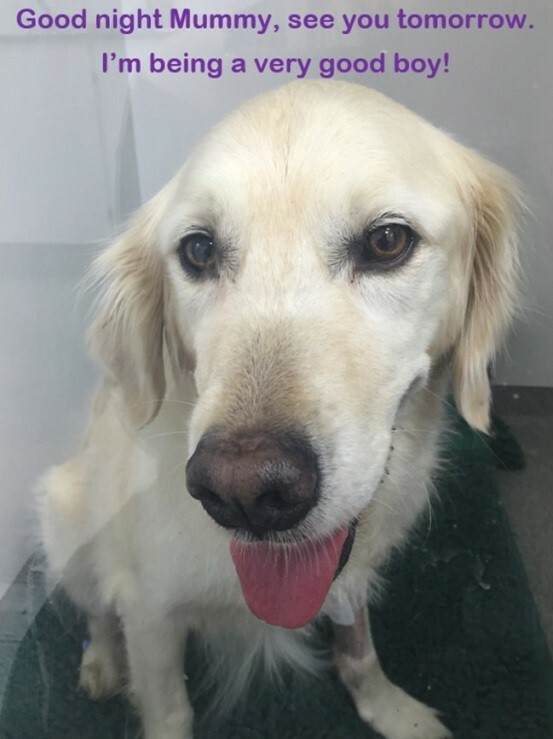 While I would never in a million years have wanted Brinkley to go through what he has, and not a day goes by where I don’t wish it could have been me, rather than him – I couldn’t have asked for better care, and I feel lucky to have been able to take him Fitzpatrick’s Oncology and Soft Tissue hospital. Brinkley has loved every single one of his visits, no matter what was done to him, which says it all really. Thank you all of you, you are truly amazing and special people. Brinkley is a lovely dog and we often see a lot of him running around in circles dancing and is always happy! 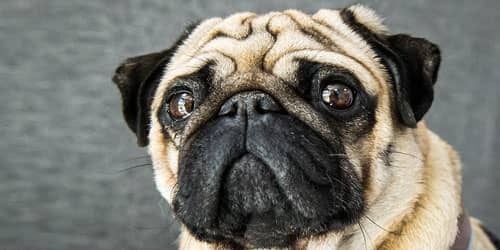 I was very worried after they aspirated the lump and realised it was a mast cell tumour. 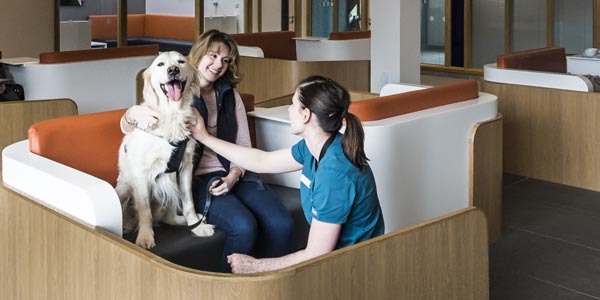 I am incredibly pleased with the service of Fitzpatrick Referrals and they have done a brilliant job in managing Brinkley’s condition! 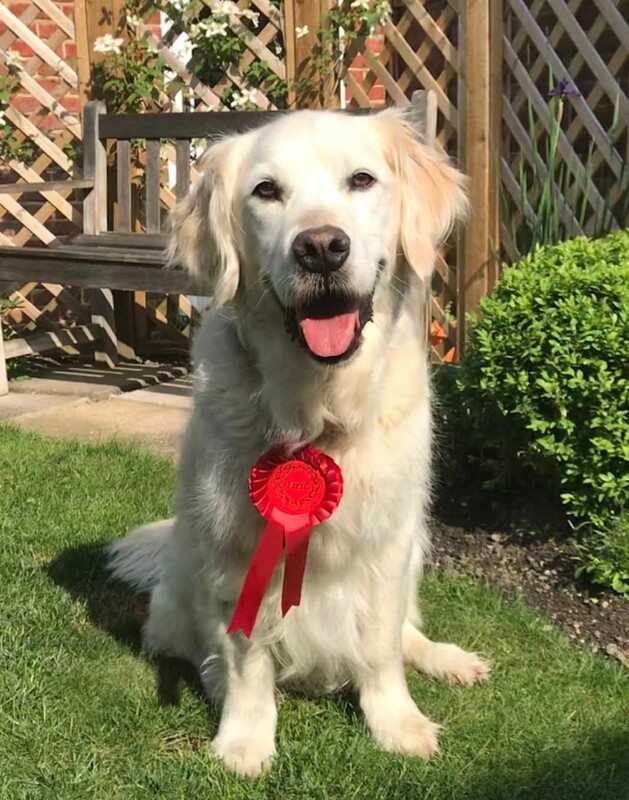 Here is a photo of Brinkley after attending Norton Park Summer Fete and winning first prize for the ‘Gorgeous Oldie’ class. No one can believe he’s going to be 10 next month, least of all me! 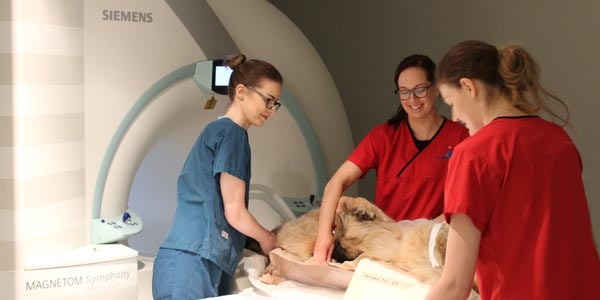 Especially as he’s been visiting Fitzpatrick Referrals Oncology and Soft Tissue for almost three of those years. 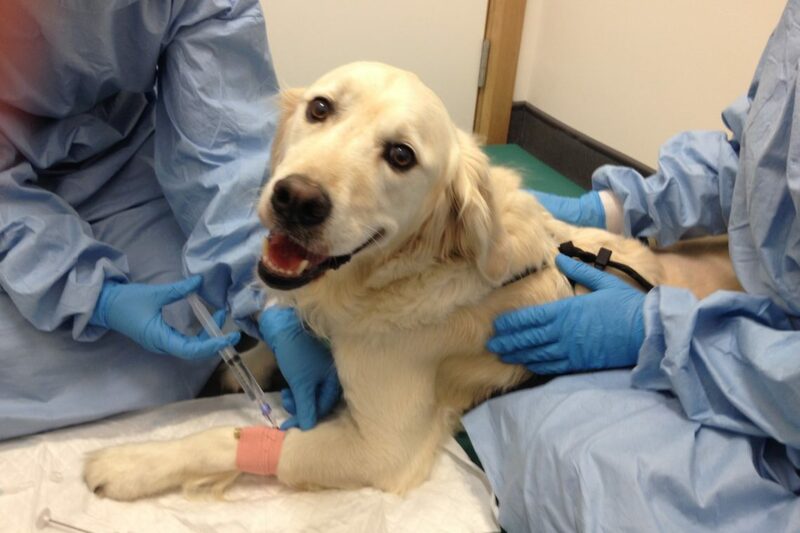 Brinkley is on chemotherapy treatment again now following the discovery of tumour number nine, and doing really well.